Ordinarily, a goalless draw at home couldn’t be construed as a good result, and particularly not for a Liverpool outfit that has been so good at Anfield this term. But whisper it: maybe the 0-0 stalemate with Bayern Munich in the Champions League last 16 first leg on Tuesday was a positive outcome. Neither side really dominated, and no gilt-edged chances were created on a night where there was a clear sense of tension in the air. If this was a chess match, both players were hiding their queens from plain sight. Still, we restricted the openings available to Bayern, and they failed to muster a single shot on target; something of a rarity for the Bundesliga champions. “I’m not over the moon but I’m completely okay with the game,” so said Jurgen Klopp afterwards. The bottom line is that if we score just once at Bayern’s Allianz Arena in the return fixture then we would become a red hot favourite to progress; you can’t really ask for much more than that, especially on a night when we forced to field Fabinho and Joel Matip as a makeshift central defensive partnership with Virgil van Dijk and Dejan Lovren absent. “It was a clean sheet without the big man [Van Dijk]. A lot of people wouldn’t have expected that!” Klopp laughed in his post-match press conference. From one big challenge to another: Sunday’s crucial Premier League encounter against Manchester United. It’s a rivalry that requires no explanation, and with the Reds gunning for the title and United enjoying a renaissance under Ole-Gunnar Solskjaer, it should prove to be a fantastic spectacle at Old Trafford. And, bold statement alert, we’re confident that Liverpool can deliver all three points to cap a decent week for the club. Our defensive woes will be eased by the return of Virgil van Dijk, who will naturally slot straight back into the defence. He will presumably partner Joel Matip, with Fabinho moving forward into midfield to help combat the marauding runs of Paul Pogba. Jordan Henderson, who was immense against Bayern, does tend to struggle playing back-to-back games, so it wouldn’t be a surprise if he sits this one out with James Milner coming in. He will sit alongside Gigi Wijnaldum to provide a versatile midfield three. In attack, messrs Salah, Firmino and Mane were stifled by the deep defensive line that the Germans put out on Tuesday, but the game at Old Trafford should be more open and that will afford them more space to work in. United won their first eight games under Ole-Gunnar Solskjaer – it’s amazing what a talented bunch of players can achieve when they are motivated by a new manager. That run came to a halt when Burnley held them to a 2-2 draw at the end of January, but since then they have beaten Leicester and Fulham in the Premier League and defeated Chelsea in the FA Cup. But the result that sticks out for us is the 0-2 defeat at home to PSG. The Red Devils were outclassed on the night, and confirms what we already knew: they are definitely beatable despite their recent upturn in form. Occasionally, common sense and logic go out of the window when two famous rivals lock horns. We expect a close game at Old Trafford, with two of the best attacking sides doing battle in what should be an open, expansive game. Of course, we said that before we played Manchester City….and that ended 0-0! You could make a case that the players who are playing – and those who aren’t – could prove the vital difference. 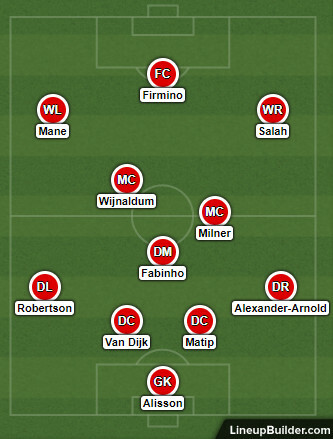 As far as we’re concerned, Virgil van Dijk comes back in and Fabinho, presumably, moves back into midfield: that makes us a better balanced side straight off the bat. As for United, they will be without the injured Anthony Martial and Jesse Lingard, and that could be crucial. That duo are vital ball carriers on the flanks and help transition their side quickly from defence to attack; Alexis Sanchez and Romelu Lukaku don’t quite have the same skillset. The bookies have us down as an 11/8 favourite to win the game, which is a decent price, perhaps, given the strength of the respective elevens. You might want to play things a bit more conservatively, however, which is why Draw No Bet at 4/6 and the +0.00 Asian Handicap at 3/4 – both in Liverpool’s favour – are fair game. And in a move that flies in the face of logic, we’re going to back Under 2.5 Goals at 11/10. United’s emphasis will be on defence, with Ander Herrera and Nemanja Matic sitting very deep. Without the pace of Martial and Lingard, they might struggle to get behind us…and one of those tight, testing encounters may ensue.